The Dell PowerVault MD3200i is an iSCSI SAN device. It comes with two raid controller each with it’s own management network interface, located on the back of the unit. Generally speaking, most management of the unit is done through the “Dell Modular Disk Storage Manager” application. Problems can arise if you’ve purchased the Dell PowerVault MD3200i used / from someone else and have no idea what the IP and or username / password is. Please see below for the steps to reset the Dell PowerVault MD3200i to factory default settings. You will need the serial management cable. 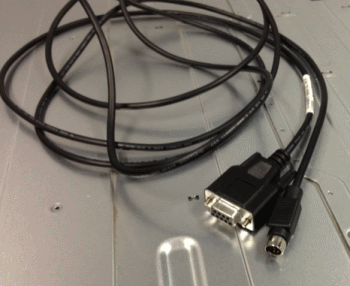 This cable has a connector that resembles a PS2 plug on the one side and RS232 COM port on the other and can be purchased directly from Dell or through eBay. Then type CAPITAL S for Service Interface followed by the enter key. The default password here is “supportDell” – case sensitive. It is a pretty straight forward text based menu procedure to complete any of the steps above. Please note that you will have to reboot the Dell PowerVault MD3200i for any of the above steps to take affect. 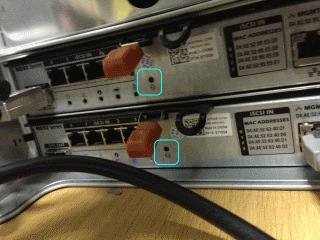 Alternatively, if you have the IP addresses already or they are still on their default IP address 192.168.128.101, you can reset the password by pressing and holding for 5 seconds the “password reset button” which is located on the rear of the Dell PowerVault MD3200i, right beside the controllers. Still having issues resetting or accessing your Dell PowerVault MD3200i? Contact us via @planitcomputing or via telephone on 014852222 for assistance. This entry was posted in IT and tagged Dell PowerVault MD3200i, MD3200i, PowerVault, PS2, Reset Dell PowerVault Password, RS232 by PlanIT Computing. Bookmark the permalink. Excellent article – really helps us improve our Managed IT Services with this information. I connected successfully and I found out that IPv4 (Mgmt port is disabled) in both raids. Selected option 1 “Display IP config” and I got no reply. 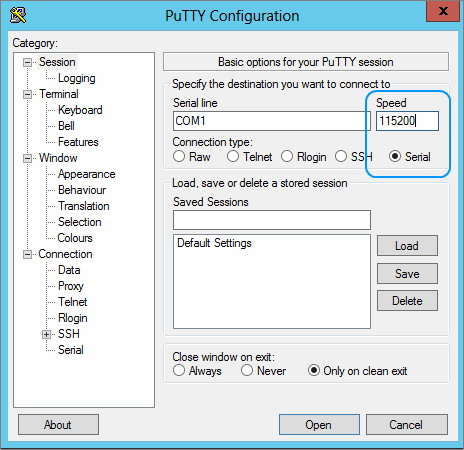 Selected option 2 “ Change IP address and I got the reply “Would you like to enable IPv4 – Y=yes / N=no. Therefore, for some reason the Network Mngmt port is disabled that’s why I was not able to find its IP address. I know when we enable/disable Ethernet port or modify the IP address in PC’s it does not cause the restart. 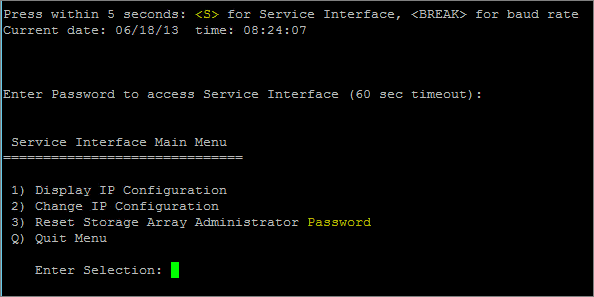 Before I decide to enable and configure the IPv4 port I wanted to make sure it does not cause storage restart.